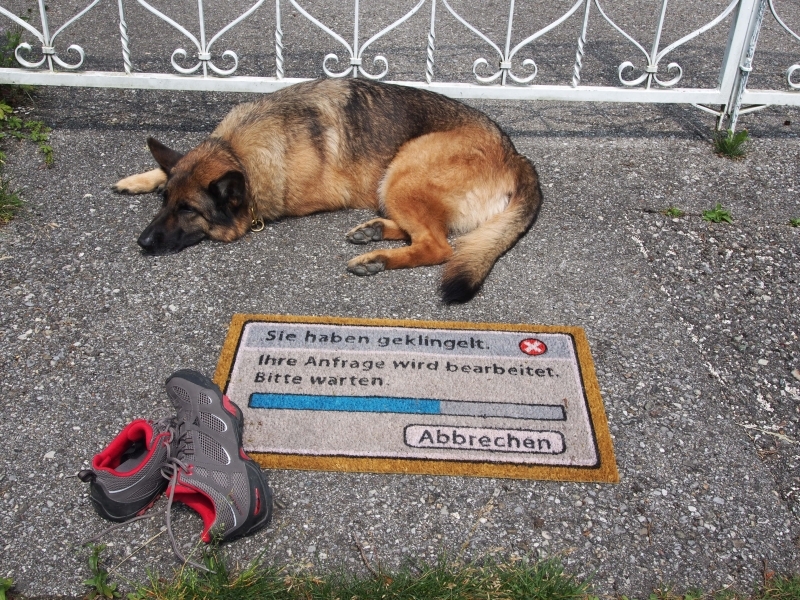 Top quality doormat designed like a dialogue-box. 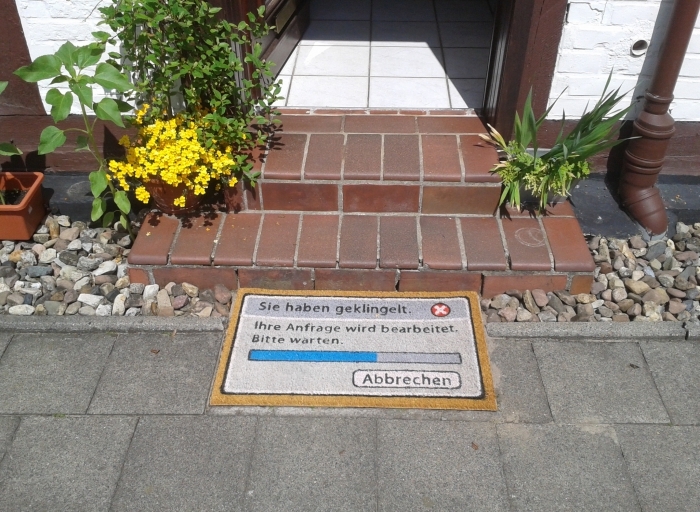 This doormat in a dialogue-box design is only available with a german imprint. "You rang the bell. 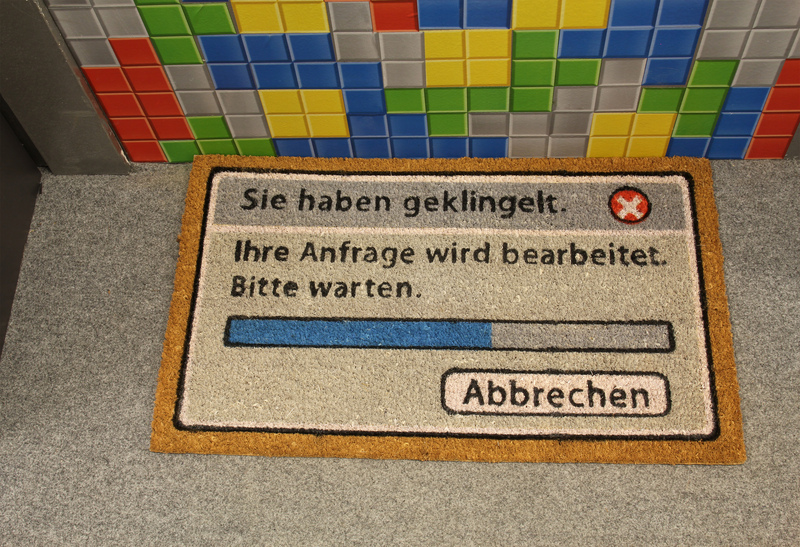 Please wait, your request is being processed." 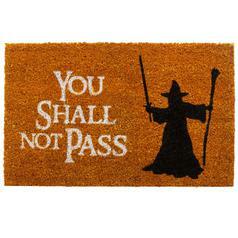 You should also have a look at our other geeky doormats. Many of them have an english imprint. 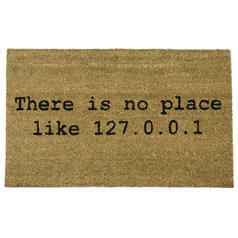 24,95 € lade... Doormat 127.0.0.1 The home of a real geek needs a geeky doormat. 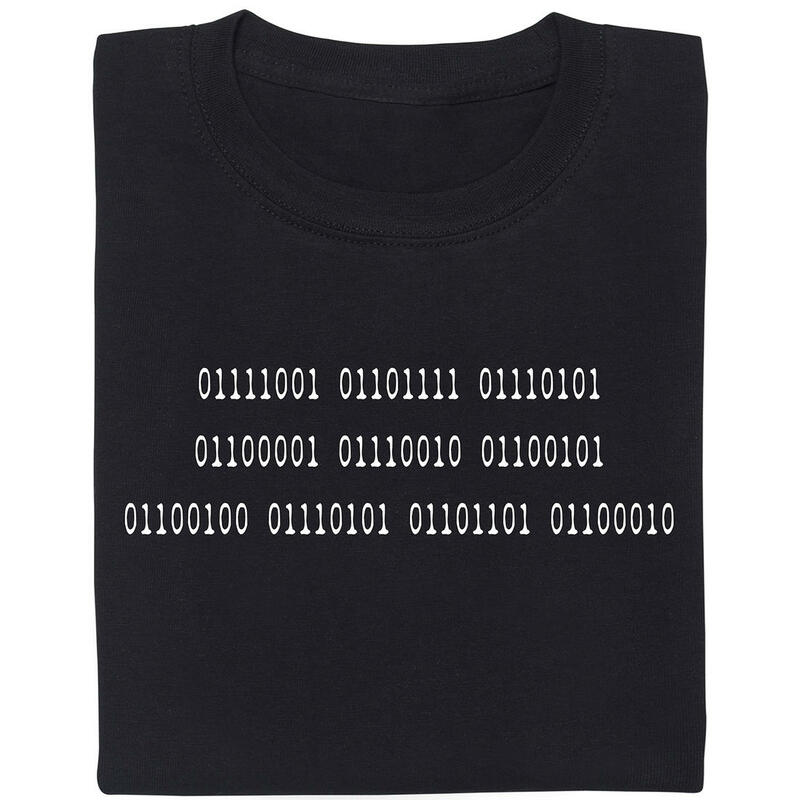 16,95 € lade... 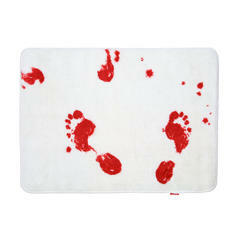 Blood Bath Mat The fluffy material of this bath mat is stained with bloody footsteps. 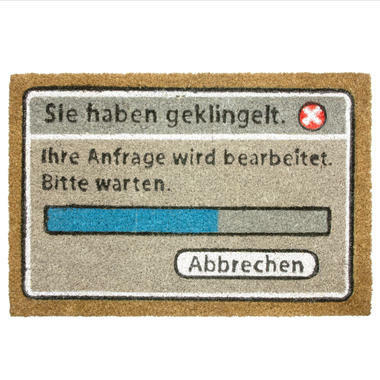 22,95 € lade... Doormat Slide to unlock High-quality doormat made of coir with the imprint 'Slide to Unlock'. 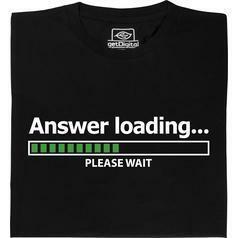 from 20,95 € lade... Fair Geek Wear Answer Loading T-Shirt Do you need some time to come up with an appropriate answer?